Acuant’s CEO, Yossi Zekri, was interviewed in this article by PYMNTS.com. You can read the article at its original source here. In the U.S., the Supreme Court last year gave its thumbs-up for states to legalize sports betting. This means a variety of different, state-by-state approaches to what constitutes legal gambling, and the challenge of making sure gamblers are old enough to play, among other considerations. In the U.K., there exists the possibility of a pullback. Some lawmakers there, from the country’s Labour Party, reportedlyare keen on such measures as placing tight restrictions on how much gamblers can bet and how quickly they can make wagers, and even banning credit cards for online gambling. Identity verification is an integral part of the gaming industry. Preventing fraud and minors from gambling are priorities and the way to do this changes as the landscape of gaming changes. There are many formats of gaming today: casinos, online gaming websites, gaming apps and state lotteries. Each faces their own challenges in remaining complaint when it comes to accurately verifying players. When it comes to state lotteries, some states are allowing people to buy lottery tickets online through smartphone apps. The smartphone app Jackpocket lets New York lottery players use their phones to play the lottery and collect their winnings. The state of Virginia allows users to register online through an official website to play the lottery. States have seen ticket sales fall despite high jackpots, so smartphone apps and websites offer convenience to players who want to buy tickets without going out of their way to a retail location. These mobile methods are designed to appeal to millennials, who don’t play the lottery regularly. Lottery apps enable users to skip long lines at retail locations, and it guarantees that players won’t lose their winning tickets. Although mobile gaming allows for easier participation, states still have to verify that none of the lottery players are underage. Acuant’s ID authentication technology allows states to make sure that no lottery players are under 18. If casinos fail to accurately ID their customers, they face large fines. The Sands Casino Resort in Bethlehem, Pennsylvania has already paid $341,000 to the state due to seven instances of underage gambling. Pennsylvania’s Gaming Control Board is eager to stop underage gambling, especially since it has issued out $2.2 million in total fines to various casinos. 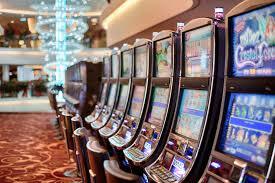 Fines from underage gambling can clearly result in huge financial losses for casinos, which is why casinos should invest in ID verification technology. This technology is also applicable for making loyalty program sign ups fast and easy, as well as payouts in the cage safe and accurate. Nobody wants an identity thief walking away with someone else’s winnings. Acuant’s technology readily verifies IDs when gamblers want to collect their winnings, which speeds up the cash-in process. 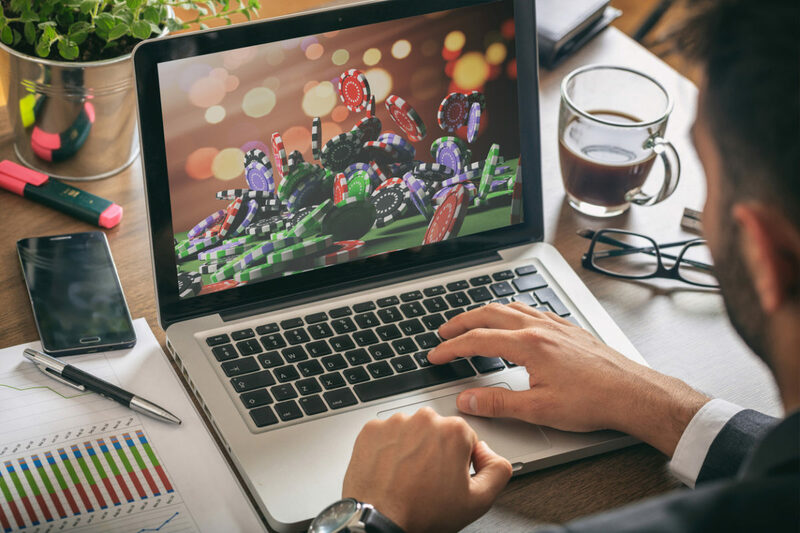 Solutions also provide a less invasive way to collect information for winners to submit to the IRS and allow for easy compliance for casinos with state and federal regulations. Acuant’s innovative software can also be integrated into jackpot software to make reporting wins simple for casinos. There are multiple benefits and uses for identity management technology to gaming. When it comes to gambling, there is no need to take a chance on proper ID and age verification. A study published in the Journal of the American Medical Association shows that healthcare data breaches are on the rise, which has left consumers worried about medical identity fraud. From 2010 to 2013, nearly 1,000 large healthcare data breaches have exposed more than 29 million individual health records. A study published in the Journal of the American Medical Association shows that healthcare data breaches are on the rise, which has left consumers worried about medical identity fraud. From 2010 to 2013, nearly 1,000 large healthcare data breaches have exposed more than 29 million individual health records. More than half of these are due to a loss of files – either paper records, or files stored on flash drives and laptops. These breaches involved unauthorized acquisitions, accesses, uses or disclosures. The research study looked at breaches of unencrypted health data that was reported by organizations that had to abide by HIPAA regulations. The study included significant healthcare data breaches that affected at least 500 individuals, and where data could be traced back to individual patients. According to the report, the number of healthcare data breaches rose by 10% from 2010 to 2011. In 2010, there were 214 breaches, while in 2011 there were 236. In 2013, the breaches increased to 265. The report found that as many as 30 million records were compromised in a four year span due to these breaches. If each record represents an individual patient, then 1 out of every 11 Americans was the victim of a healthcare data breach in that time period. Criminals used hacking to obtain health records in only 12 to 27% of incidents. The majority of these data breaches involved the physical theft of electronic health records. One way healthcare organizations can decrease the chances of a breach is by mandating that their employees to keep all devices with private patient data in the building. This would prevent employees from walking out of the building with a flash drive loaded with data, and accidentally losing it. Patient data should also be encrypted to make it harder to access. If healthcare employees have to move patient data around in a flash drive, the flash drive should be encrypted and have a password. Healthcare facilities and insurance companies also have to worry about HIPAA violations. If a security breach occurs and patient information gets leaked, the organizations then have to worry about lawsuits. The research study found that healthcare breaches will increase as facilities use more cloud based services, gene sequencing and other health-related technology. As the threat of healthcare breaches increases, patients are worried about keeping their identities safe. The issue with medical identity theft is that individually identifiable healthcare data can’t be easily changed. 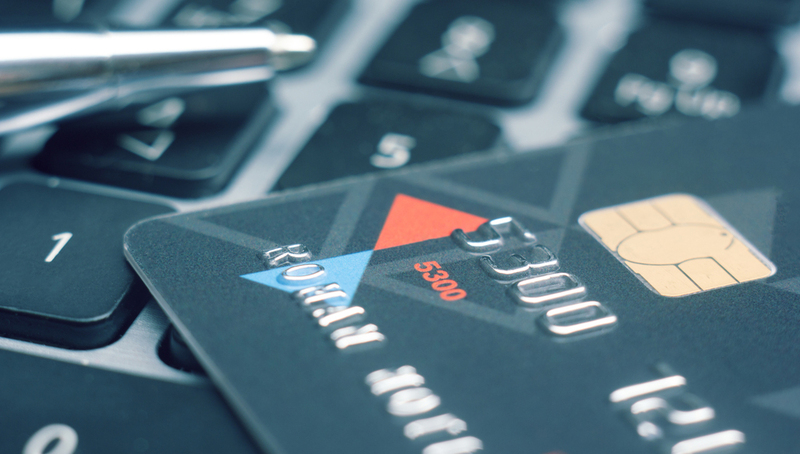 With financial identity theft, people can put a security freeze on their credit files. With medical identity theft, victims have to deal with securing their financial information and their personal medical information. Medical identity theft can significantly affect a patient’s finances. Victims have to deal with fraudulent bills sent to their health insurer, and they have to spend money on resolving the issues that come with medical identity theft. Some victims even have to pay more to get their medical insurance reinstated. The large amount of healthcare data breaches that have occurred in the past four years have patients worried. Some worried patients now ask their doctors how their practice keeps information secure, and factor that in when they choose a doctor to visit. Now practices have to assure their patients that their information is safe. To help prevent medical identity theft, healthcare facilities can use identity verification software. With automatic identity authentication, healthcare facilities can quickly verify a patient’s identity using their driver’s license and health insurance card. These precautionary measures will keep patients safe from medical identity fraud. International traveling seems to be on the rise of late. People around the world are interested in traveling internationally, and Americans in particular want to travel overseas. The U.S. is the world’s second largest outbound market, and grew by 6% in 2014, according to figures from the latest UNTWO World Tourism Barometer. Based on statistics from a survey by Choice Hotels, 11% of Americans are planning on visiting Europe this year. More than half of these survey respondents want to visit Europe’s historical sites, and 40% want to immerse themselves in European culture. UNTWO’s annual tourism report revealed that in 2014, 588 million international tourists visited Europe from all over the world. Instead of visiting Western Europe, many choose to visit Northern Europe and the Southern Mediterranean. Additionally, Asia and the Pacific are the fastest growing regions for international tourism, with 263 million visitors in 2014. International arrivals grew by 7% in South Asia and 6% in Oceania. Millennials in particular are traveling more, and now represent 20% of international tourism, according to the World Youth Student and Education Travel Confederation. In 2012, millennials spent $217 billion on traveling, making them a significant demographic for the tourism industry. The Travel Confederation found that millennials are looking for an authentic cultural experience overseas. However, according to a study by the U.S. Travel Association, international travelers say that the two greatest challenges they face when traveling overseas are visa issues, and an unwelcoming arrival experience. More people are also choosing to visit America from overseas. The United States’ share of total international arrivals was 6.4%. The U.S. received 62.3 million international arrivals in 2011, and approximately 27.9 million of those arrivals were from overseas. Most international travelers coming to the U.S. come from countries where English is not the first language. According to the study, 21 million travelers from China visited the U.S., while 13.4 million visited from Mexico. 3.2 million Japanese tourists and 1.8 million German tourists also visited the U.S. It’s been forecasted by the U.S. Department of Commerce Office of Travel and Tourism Industries that the number of visitors from China will increase by 274% in 2016. Visits from Brazilians will increase by 135%, and visits from Russians by 131%. International airports can make the traveling experience better for American visitors by having an easier arrival process. Airports can invest in card scanning technology so security agents can quickly verify the identities of Americans traveling internationally without worrying about language barriers. A single ID scanning solution that can recognize passports from different countries can be very useful for places that get a lot of tourists from all parts of the world. Because so many people come to the U.S. from countries where English may not be widely spoken, international airports within the U.S. can benefit from technology that makes the arrival experience easier. ID verification solutions can cut down on long lines at the airport, and help international travelers get through security quickly. As international tourism increases around the world, airports should invest in making the arrival experience easier for all travelers. In response to what consumers want, hotels are increasing the amount of technology they use throughout their buildings and resorts. Most hotels offer free Wi-Fi, which is the number one amenity that guests want when they book a hotel room. Some hotels are planning on going way beyond Wi-Fi and are using robots to staff their hotels instead of employees. Henn-na Hotel, which will open in July, plans to staff its front desk with ten life-like robots. The Japanese hotel will only hire two human staff members and will rely on robots to interact with guests. The robots are programmed to greet guests in several languages, carry bags, and even clean the 72 rooms the hotel will have. The robots can also answer guests’ questions. Although the Henn-na hotel may be suited only to certain guests, most hotels are increasing their budgets to allow for more technology that conveniences their guests. In California, Aloft Hotel already has robot butlers that can make deliveries to your hotel room. They have an automated call to your room when they arrive, and you can rate their service as well. 60% of survey respondents are more likely to choose a hotel that allows them to check in and open doors with their smartphones. 37% of respondents are at least “moderately likely” to choose a hotel with lobby technology, like kiosks that allow for self-service check-ins. 63% of respondents prefer hotels with tech-enabled lobbies that offer information through interactive touch screens. These survey findings illustrate that guests prefer to use technology to exchange information. Guests prefer to check-in using quick technology, instead of waiting in long lines to get checked-in by a front desk employee. With self-service kiosks in the front lobby, guests who are in a hurry can get past long lines and go straight up to their rooms in a matter of minutes. Even if hotel lobbies don’t have self-service kiosks, front desk employees can use card scanners to quickly verify information and send guests up to their rooms. Out of the people surveyed, 29% said they wanted a faster check-in and check-out process. 24% of respondents said they wanted technology to add convenience to their travels. No matter what stage of the technological embrace a hotel is at, it’s obvious that consumers want more technological efficiencies in their hotels. When checking in their international hotel guests, front desk employees may have trouble with language barriers, or they might not be able to decipher what’s on their guest’s ID card. This is important because the front desk experience creates a guest’s first impression of the hotel, and a frustrating experience can lead to a negative stay. Acuant’s card scanning technology can provide valuable assistance in the hospitality industry. 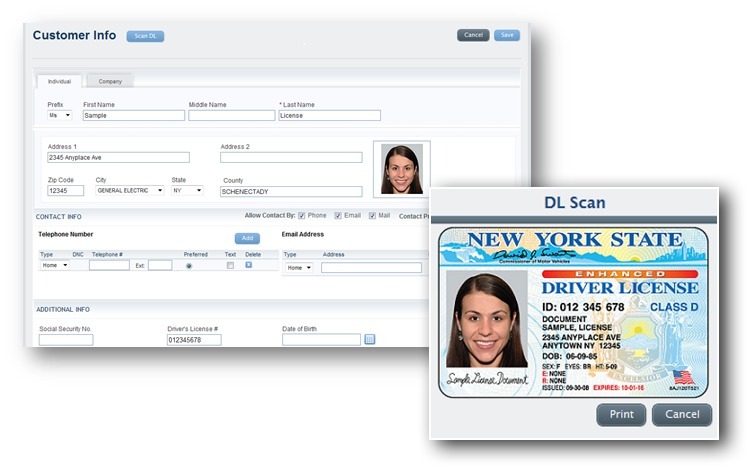 Acuant’s idScan software, for example, recognizes IDs from all 50 US states, and passports from 90 countries, so employees can check guests into their rooms with a simple ID scan. The software also auto-populates information from IDs into check-in forms, so guests don’t have to answer routine questions before heading up to their rooms. Front desk employees can also see if the attendees are part of a corporate rewards program. Acuant’s software helps eliminate confusion from international IDs, and allows for faster and more accurate identity validation. Hotels can also take convenience a step further and allow their guests to get into their rooms with keyless entry. Guests can use their smartphones to unlock their doors, which will decrease the number of times front desk employees have to issue new key cards to guests who have lost them. With better technology, front desk receptionists can almost instantaneously check-in their international guests, which is a critical first step to providing a great experience.